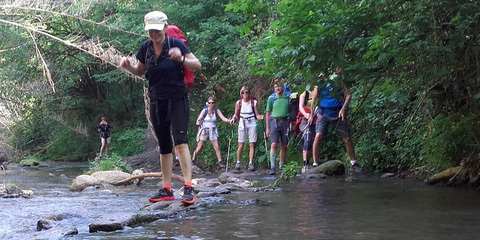 This 6-day, 5-night walking and cultural tour starts and ends in Capalbio in Tuscany. We will follow ancient Etruscan roads walking an average distance of 15 km a day, crossing Sorano, Sovana, Pitigliano and Manciano. The last two days are spent in a beautiful hotel on the east coast of Giglio. Discover details in WalkItalyTours web site. The Tuscany tour takes inspiration from the guidebook The Cities and Cemeteries of Etruria written in 1842 by George Dennis a typical British explorer. NextNext post:The social value of walking! Prison or walking?